Comfortable accommodations in an amazing setting! A unique adventure travel destination: lush, green vegetation as far as the eye can see, with leaves as big as elephant ears. Jade colored water. 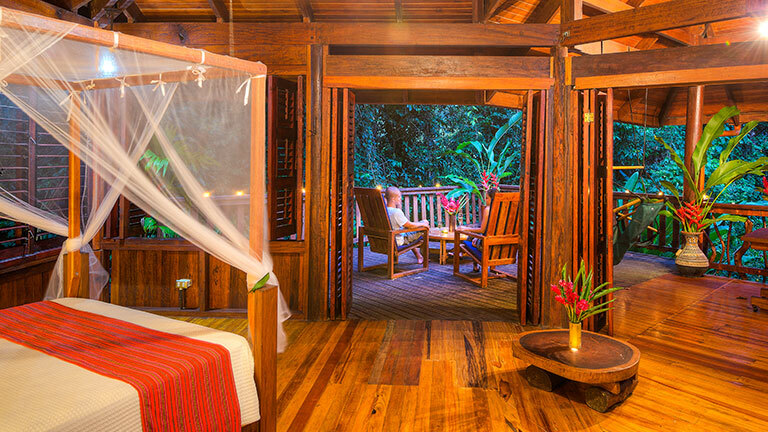 Toucans, monkeys, iguanas, dolphins, majestic blue butterflies â€" all are here at Playa Nicuesa Rainforest Lodge, in Golfo Dulce, Costa Rica.